Swiggy is initially launching the service across Gurugram where it will deliver from over 3500 stores across the city. Extending its services beyond food delivery, Bengaluru-based online food delivery major has announced the launch of its new service ‘Swiggy STORES’, which allows a user to order anything from any store across a city. This launch by Swiggy can be seen as a direct competition to Google-backed Dunzo, which is currently present in over 5 cities with an average of 30,000 transactions a day. Announcing the launch through a blog post, Sriharsha Majety said that the idea came out of a realization that the foodtech major could bring the convenience of food delivery to a lot of other local ecommerce needs. “Just like how we democratized seamless delivery across over half a lakh restaurants in the country, we can democratize convenience across millions of other merchants/ businesses in our cities,” he wrote. The Swiggy Stores service will be embedded into the Swiggy app itself. To use it, one will have to click on the Swiggy stores band on the app, select their category and pick out what they need. The company says that users will just have to type out the list of items they need and Swiggy will bring that to you. 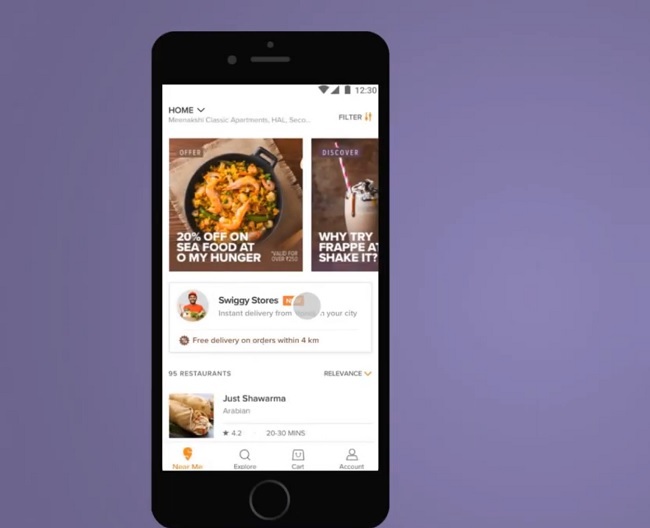 “If you don't, Swiggy Stores will also connect users to popular stores and list bestsellers for them to discover and be seamlessly delivered by Swiggy,” Sriharsha says. The service also allows people to discover popular stores around them and from toothpaste to food for your pet, Swiggy Stores will deliver it all in less than an hour. The payment for items will be the same as the payment process for food delivery on the app. Swiggy will initially launch the service across Gurugram where it will deliver from over 3500 stores across the city. It has already partnered with over 200 stores. To start off with, it will be offering the service in categories such as Fruits and Vegetables, Kirana and supermarkets, paan sops, pet care stores, baby care stores, fresh meat stores, health supplement stores, florists and gourmet and organic stores. Some of the stores it has partnered with in Gurugram include Zappfresh, Licious, Apollo Pharmacy, Super Needs Market, HealthKart, FernsNpetals, etc. Swiggy Stores is currently being launched in beta form and will eventually be extended to other cities as well.